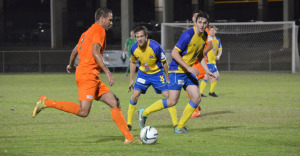 Brisbane Strikers fell two points behind in the Premiership race after settling for a 0-0 draw with FNQ Heat at Perry Park on Saturday. Neither side was able to deliver the breakthrough in a sometimes dour contest that saw both goalkeepers rarely troubled as Strikers recorded their sixth clean sheet of the season. 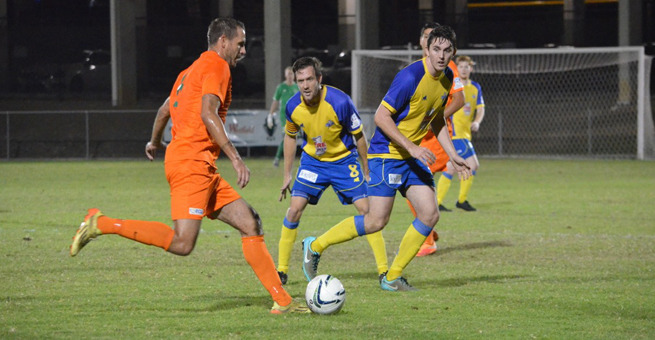 The result extends Strikers current unbeaten run to four games but also sees the club cede ground to league-leaders Moreton Bay United ahead of the pair’s top-of-the-table clash next weekend. Strikers dominated the contest early with the bulk of possession, however chances proved elusive in the opening quarter hour. Both club’s leading goalscorers missed chances to take the lead before half-time - Jheison Macauce sending his shot wide for Strikers before Heat’s Alex Smith blazed high at the other end. Heat spurned two further chances to edge ahead after the restart as Ethan Docherty and Smith again failed to call upon Strikers goalkeeper Fraser Chalmers with a pair of efforts. Strikers delivered three attacking substitutions in the second half as they sought to find a much needed spark in the front third. As a result, the hosts saw the better of the closing quarter hour as Heat goalkeeper Nicholas Mooney shut down Strikers substitute Apai Ukuno one-on-one before saving a shot soon after from Clulow. Speaking post-match, Strikers coach Kevin A’herne-Evans said the result was a fair reflection of the match. “Tonight was just one of those flat games basically where you could see there was a lot of fatigue out there and when fatigue kicks in obviously the decision making and execution isn’t up to its normal level,” he said. Heat coach Martin Docherty said was content with the point but rued his side’s missed chances. “I’m proud of the fact that we didn’t concede a goal but disappointed that we didn’t manage to jag one in the second half,” he said.